Out Oct. 20. Pre-order here from Amazon. In 1952, the famous dancer, singer and film star Fred Astaire teamed up with the brilliant pianist Oscar Peterson and an all-star jazz sextet to record jazz versions of many of the songs that he helped introduce and make famous in the 1930s and '40s. The original program, The Astaire Story, was an innovative three LP set comprised of 38 selections including three features for Astaire's tap-dancing and the rousing instrumental "Jam Session." 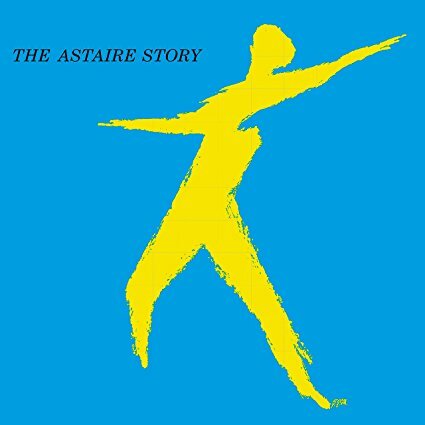 In celebration of its 65th anniversary, the album will be released October 20 via Verve Records/UMe as an expanded 2CD version and digital collection boasting 41 tracks including a previously unreleased alternate version of "I Won't Dance," one of Astaire's trademark numbers (recorded with Peterson three years later) and three examples of Astaire's famed dancing. The album is presented in a novel way and has been reassembled to give it the shape of a soundtrack. The two "Blues" serve as bookends while the "Jam Session" is featured as an intermission. Throughout, Astaire talks a little and sings a lot. While Astaire had made recordings as early as the 1920s, usually performing with studio orchestras, The Astaire Story is unique in that he is joined by a freewheeling combo comprised of Peterson, tenor-saxophonist Flip Phillips, trumpeter Charlie Shavers, guitarist Barney Kessel, bassist Ray Brown and drummer Alvin Stoller. The musicians, drawn from producer Norman Granz's Jazz At The Philharmonic, perfectly complement Astaire's vocals and the music swings throughout. Astaire, who passed away 30 years ago in 1987, performed on Broadway as early as 1917 and had his big breakthrough in 1924 when he and his sister Adele were featured in "Lady, Be Good," the first Broadway musical by George and Ira Gershwin. A household name ever since he began starring in movie musicals with Ginger Rogers (starting with 1934's "The Gay Divorcee"), Astaire was the epitome of class in his dancing, singing and acting. While his dancing gained the biggest acclaim, he was a personable singer who perfectly placed his notes, always swinging. Such composers as George Gershwin, Irving Berlin, Jerome Kern and Cole Porter loved to have him introduce their songs in the movies because, while sticking to the lyrics and the melody, he uplifted every tune that he interpreted with his phrasing and classy personality. The Astaire Story has the 53-year old Astaire, at the peak of his powers, singing such songs as "Puttin'On The Ritz" (which has some rhythmic interplay with drummer Stoller), "The Continental,""Let's Call The Whole Thing Off," "'S Wonderful," "Cheek To Cheek," "Dancing In The Dark," "Top Hat, White Coat And Tails" (which concludes with Astaire's heated dancing), "I Won't Dance," an uptempo "No Strings" that features Peterson taking a celeste solo, and "A Foggy Day." He also reminisces a bit about some of the numbers. 19 of the tunes are from Astaire's movies with Ginger Rogers and the program includes ten songs by Berlin and eight composed by Gershwin. A special treat is hearing Astaire perform two of his own compositions: "I'm Building Up To An Awful Letdown" and "Not My Girl." On the latter, the multi-talented Astaire takes a very credible chorus of stride piano. With solos sprinkled throughout by Peterson, Phillips, Shavers and Kessel and inspired singing by Astaire, the performances on The Astaire Story are as irresistible as the film performances of the great dancer-singer.